Go beyond splashing in the shallows and running through the waterpark – if you have a water baby who can’t resist the lure of water, leverage on their interest and sign them up for a swim class! This is also a great way to stimulate a class setting to prepare them for kindergarten. 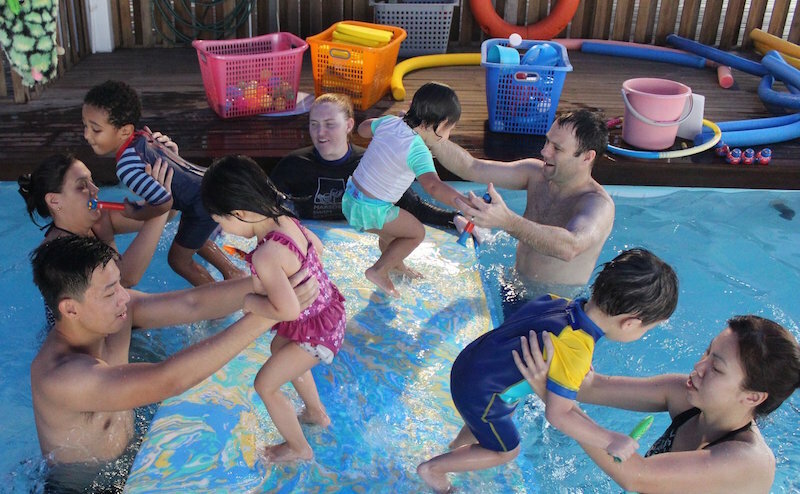 WaterTwinkle is a pre-swimming class that partners parent and child. Parents will learn different ways to hold and stimulate movement for their little ones in the water. Using the play to learn approach, parent and child bond over this fun activity that helps to ‘waterproof’ their baby. 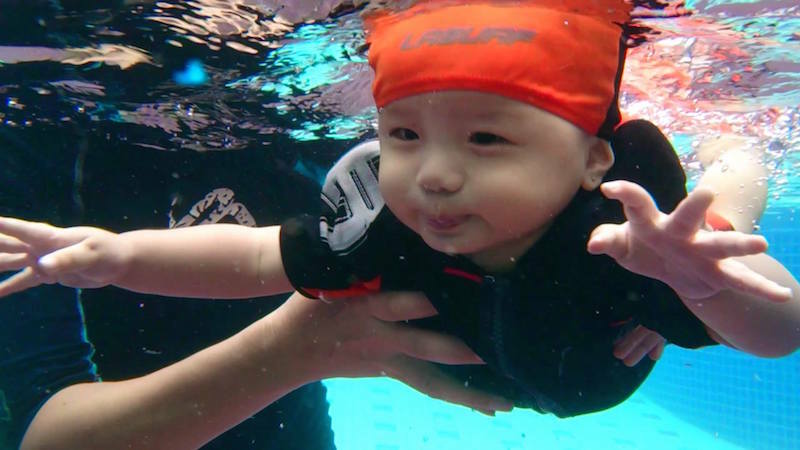 It’s never too early to learn and the infant aquatics classes have proven exactly that. 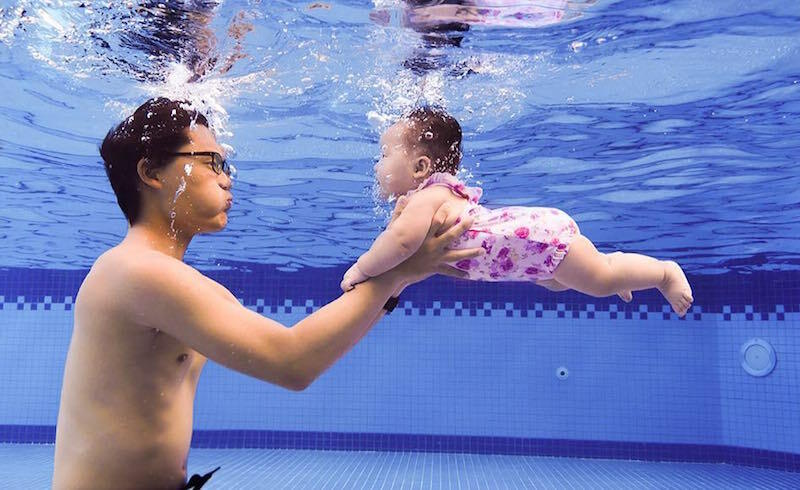 From as young as 4 months old, babies can learn basic underwater breath control and simple propulsion to move from the middle of the pool to the ledge. Out of all the terrible things you worry might befall your darlings, the danger of deep waters is something you can minimise with the infant and toddler class. Mastering the basic technique of flipping from prone to supine is a major milestone that helps them to avoid accidents in future. The infant and toddler class taps on the baby’s in-womb experience. On top of subduing the fear of water, swimming strengthens the child’s respiratory system and promotes good sleep. 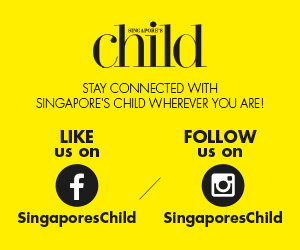 Their website also provides a guide on preparing new borns for swim classes! Have you checked out our other posts from the ‘Learning Before Kindergarten’ series? What classes are you planning to sign your toddler up for before they start school?